Jennifer Ziemons is a competitor. She’s won multiple awards for her talent. She’s even won a gold medal in the Olympics . . . of tiny cooking, that is. 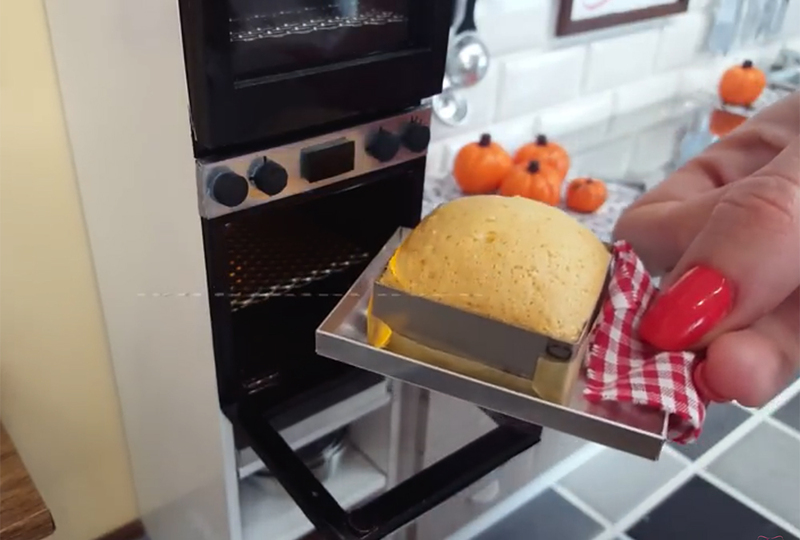 Miniature cooking is a worldwide sensation. Thousands of YouTube videos feature doll-sized meals made using itty-bitty utensils. A tiny spatula flips a tiny hamburger in a tiny pan on a tiny stovetop. A tiny whisk whirls drops of egg white in a tiny bowl for meringue atop a tiny pie. One video of a baby shortcake has over 12 million views! It seems there’s nothing big that can’t go tiny. Today, the internet is full of tiny cooking websites. Tiny Kitchen, Mini Food, Pocket Cook, and others showcase everything from minuscule spaghetti to diminutive doughnuts. Human-sized hands stir, chop, and roll. But everything else in tiny cooking is small. There’s even little cleanup—thanks to mini sponges in small sinks. Jennifer Ziemons started going small in 2015. As a child in Hungary, she wanted to be a veterinarian. But in college, an accident kept her from continuing her studies. She needed another line of work. Ziemons decided to make sweets in miniature. After only a few months’ practice, she entered her first contest. 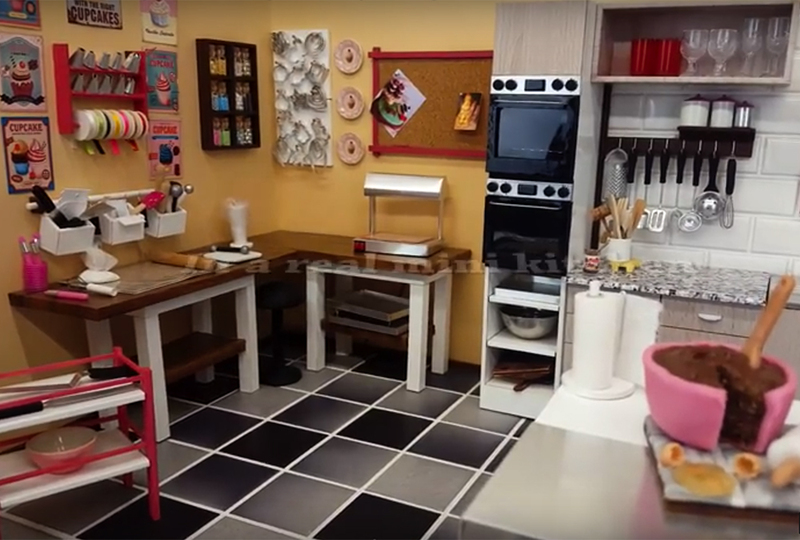 She made an entire tiny kitchen—oven, hand mixer, counters, dishes, curtains, everything—out of sugar. She won first prize and developed a humongous appetite for tiny things. She wasn’t finished. Ziemons entered the Olympics of cooking, a contest for chefs from around the world. They compete for medals and a slice of glory. Ziemons took the gold. She built a three-story Victorian dollhouse and all its contents out of sugar. Today, Ziemons focuses mostly on tiny cakes. Her YouTube channel is Jenny’s Mini Cooking Show. 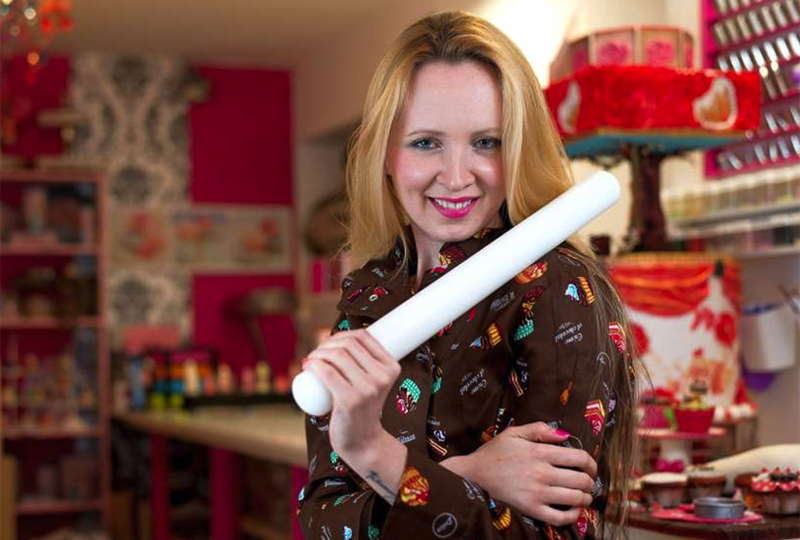 She uses wee rolling pins, knives, measuring cups, and spoons to make elaborately decorated thumb-sized cakes. One looks like a cheeseburger with tomato, lettuce, and cheese—with micro sesame seeds on the bun. This year Ziemons plans to open several sweet shops in Europe. She’s taking her own advice to “Never give up!” and is making it big by going small. I can't believe it either! I'm going to have to check out her youtube channel. Can she make dolls out of sugar? ;) Was she a christian? It is sort of cool what she is doing, but I think she could be doing something better with her life. That's really cool. The YouTube channel sounds cute. I never knew this was a thing! I love baking and this talent is so unique! I have heard of her before. I'll have to look her up. That is super tiny! Wow! I bet she had to work hard for that. That's neat. I love making tiny things! That is awesome!!!!!!!! I want to watch it now! where do they get mini eggs? I want to try! l just recently watched her youtube channel after l read this article and me and my sisters were screaming "CUTE"! the whole time! Isabel B how many sisters do you have? 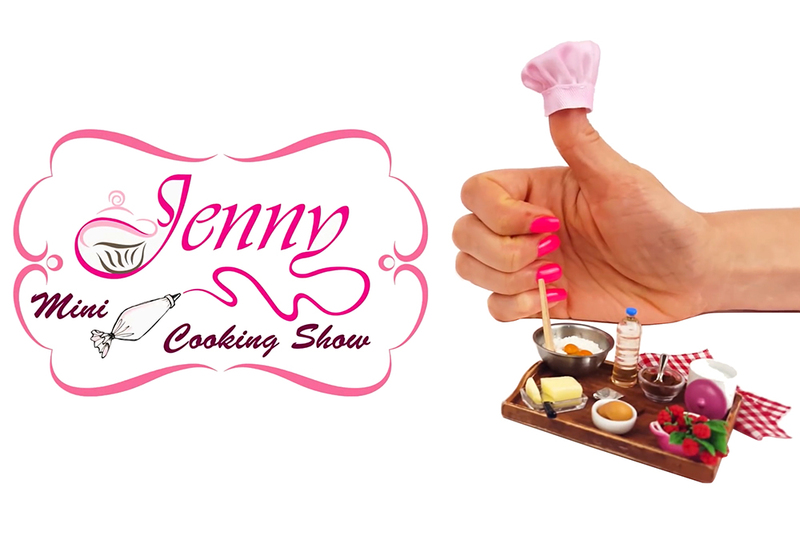 It is sooooo cool that people do that I am going to check out Jenny's Mini Cooking Show. That's really cool! I agree with Jordan J, how does she get tiny eggs? lsabele B l have 4 sisters! And one of them is just 1 month old! I watched almost all of her videos and I can't believe she can do that. she must have a lot of patience, because that must take a while to make!!!! God gave her a special talent. It may be cute but what good is it. One bite and it is gone. l have one sister who is older then me and a brother who is older, l am the third born and then l have three younger sisters and a younger brother who is 3..... So yes there is 7 kids! So is it real food? It is right? CUTE!!! (for Isabel B and the article)! I watched one of her videos. For those who were wondering, I think she makes the eggs out of fondant stuff. I think you might be right with your theory, but how does the cakes BAKE then? Does fondant have actual eggs IN them? Wow! that is so cool. I wish I could do that! I've seen a few videos on this and it looks really fun. However, it seems like a bit more effort for such a small thing to eat compared to the bigger meals witch you can enjoy for longer than the mini ones. This seems to test a good cook's creativity which is a good thing. If any of you have Netflix, search up The Curious Creations of Christine McConell. She has such odd but amazing creations! I will try that. it sounds fun. THIS IS SO COOL HONESTLY! LIKE WHO CAN BAKE WITH THIS TINY OF TOOLS, WELL I GUESS JENNY CAN WOWW THIS IS AMAZING I CANT EVEN EXPLAIN HOW FASCINATING! I don't really get it. I wouldn't buy that product, because it is so small. I can't see a market for people to buy tiny food. I am, although, happy she has a new direction for her life. yay this article reached 50 comments.